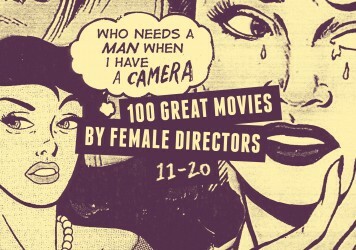 For the 60th issue of Little White Lies, we sheepishly opted to ask the question: who are our favourite working female filmmakers? We capped it at 50 names, purely for reasons of resource and logistics. The initial long list that was developed was, indeed, very long, and every name we had to expunge was like a dagger in our collective heart. We threw the selection process open to contributors, many of who suggested three or four names and, in the end, we could only really accept one or two. The filmmakers we ended up gravitating towards for the magazine edition were those who have demonstrated a relative consistency throughout their careers on one end, and on the other, slam-bang wonders who have only made one or two movies, but we’re desperate to see what they do next. But that tactic has its downside: it meant that we were unable to laud filmmakers like Jane Campion, Carol Morley, Kasi Lemmons, Lone Scherfig, Haifaa al-Mansour and all those exceptional talents who are no longer with us. In producing this list, we too found ourselves in a process of learning, an afternoon Twitter call-out for favourite films by female directors producing a veritable cloudburst of names and titles for the research list. 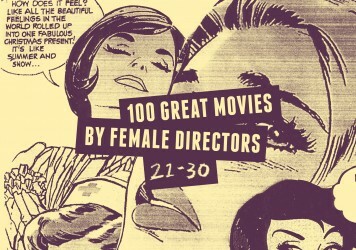 This is not the 100 greatest movies by female directors. It’s merely 100 movies we love and honestly think you will too. Note: These films are presented chronologically (not ranked). From Agnès Varda to Nancy Savoca, here are 10 more must-see films from our female director countdown.